January 10th, 2017 | Moving Tips. Your moving day is approaching, and you’re not sure what cost you should expect. Getting a moving estimate can help you know how much money to save for your upcoming move. But moving estimates can be confusing and complicated if you’re not prepared. Here is everything you need to know about getting a fair, accurate moving estimate. When you schedule a moving estimate, a moving agent will come to your home and look at all your belongings. The agent will calculate an estimated weight for all your belongings. They’ll ask you about which moving services you need (packing, storage, supplies, etc.). They’ll then quote you a price for the move based on the weight of your belongings, the distance of your move, and the services you need. 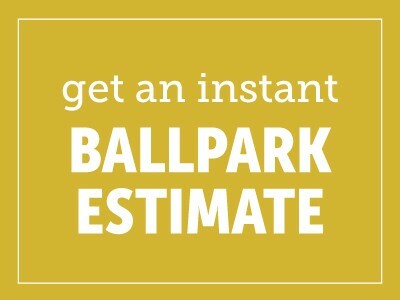 An in-home estimate also gives the moving agent the opportunity to plan how the move will go. They’ll take note of various factors that may affect the move, such as your home’s layout, the length of your driveway, and any valuable items you own. Besides giving you an idea of what price to expect, getting a moving estimate can also help you decide which moving company is right for you. You can get several quotes from several different moving companies if you prefer. Three kinds of moving estimates exist, each with different benefits and drawbacks. In a firm-binding estimate, the moving agent estimates the cost of the move and agrees to charge you on moving day exactly what he or she estimated. You pay the estimate cost even if the final weight differs from the estimate. This ensures you don’t have to deal with unanticipated costs. In a non-binding estimate, the moving company charges you based on how much your belongings weigh on moving day. Thus, your move could cost more than the estimate. But it might cost less as well. Whether you’ll save or lose money is a bit of a gamble. The third kind of estimate is an option-binding estimate. As with a firm-binding estimate, you won’t pay more than the estimate, even if your belongings weigh more than the agent anticipated. Plus, if your belongings weigh less than the estimate, the moving company will reduce your moving costs accordingly. Many consider firm-binding estimates and option-binding estimates as the best choices because the moving cost won’t exceed the estimate. Keep in mind that for firm-binding and option-binding estimates, you must stick to the same belongings and services from the estimate. If you end up moving more items than you agreed to or requesting additional moving services, you will have to pay the added costs. With a firm-binding estimate, there is a risk that the moving company could intentionally overestimate your moving cost to make more money. There is no chance that you could end up paying less than the estimate, as you could with a non-binding or option-binding estimate. Keep in mind that a particular moving company may offer only one type of estimate. For example, some companies offer only non-binding estimates for local moves. Getting an estimate long before your move is in your best interest. You need sufficient time to select the right moving company and make an agreement with them. Moving companies may get scheduled quickly, particularly in the summer. To ensure you can book with your first moving company choice, schedule the estimates for about six weeks before your move. You should select and book a moving company about four weeks before your move. Before agreeing to a moving company, look through all fees and terms included in the estimate. Some companies charge extra for special considerations. These might include if you live on the top floor or if they’ll need to move lots of furniture or fragile items. Moving estimates are one of the most important steps to prepare for your upcoming move. Make sure the company or companies you choose for your estimate are honest and trustworthy. To find the right moving company, ask friends and neighbors for referrals and read customer reviews on impartial websites. Once you get your moving estimates, you might initially want to choose the moving company with the lowest offer. But make sure you also evaluate the company’s quality, including what customers say about them. Help your moving day go as smoothly as possible. Use these tips to prepare for your moving estimate and to choose the right moving company.